The challenge of delivering clean and safe water to more users in more dispersed locations is becoming acute, with water utilities under ever greater pressure to maintain a high level of service while reducing costs. Water supply and wastewater management are critical issues in utilities and industries, and represent an increasingly significant operational risk that must be reflected when it comes to investing in improved solutions for water segments. While demands on limited water resources continue to grow, water utilities will benefit from smart solutions that improve performance and enable growth, both to optimize the use of resources and improve their bottom line. 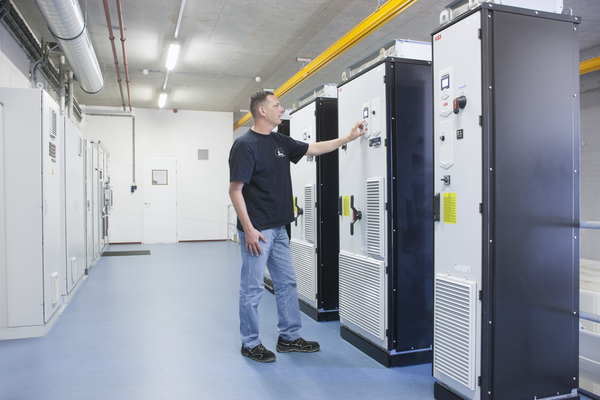 Smart water networks – containing ‘power train’ automation technologies (including drives, motors and switchgear) and sophisticated water flow and condition monitoring, management and control systems – represent one of the key ways the water and wastewater industry can drive performance and secure profitable growth. These water networks can now utilize the growing expertise in remote monitoring to collect and analyze big data that provides real-time status and health information on crucial assets. On a day to day basis this facilitates effective decision making and process optimization. For the future, it enables the development of knowledge based demand and asset management strategies. According to the most recent Global Water Intelligence (GWI) report, the global water market – including total operational expenditure (opex) and capital expenditure (capex) by utilities and industrial water and wastewater companies – was estimated to be worth around US$714 billion in 2016. The report anticipates average annual growth of 3.8 percent until 2020, with capex (5.3 percent) growing faster than opex (2.8 percent). This growth is being driven by the ‘three Es’ of Efficiency, Environment and Expansion of service. Efficiency is being tackled in areas such as water reuse, reducing non-revenue water (water that is produced but does not generate income, often through wastage) and improving utility performance. Environmental concerns are being addressed through initiatives such as the prioritization of investment in industrial and municipal wastewater treatment, especially in recently industrialized countries. As demand increases, utilities need to continue to ensure water is clean, safe and secure for the communities and businesses using it. The water and wastewater industry also needs to comply with standards and regulations in a way that meets the needs of other industries, such as food and beverage production. Perhaps the largest opportunity for the water industry today is in expanding to meet the rising demands for safe and convenient water services, including reaching new water users in emerging markets. Currently, only around a quarter of the world’s population enjoys a reliable, potable water supply, along with a sewer connection to secondary or better wastewater treatment plants. Typically, a large amount of energy is consumed in both water supply and wastewater treatment operations. This means that energy is a major cost for water utilities, often accounting for 30 percent of their total operating costs. In developing countries this can sometimes reach 40 percent. There is significant scope for the water industry to make important savings in their energy costs by increasing energy efficiency throughout their operations. The starting point must be a comprehensive energy assessment to identify key areas for improvement. 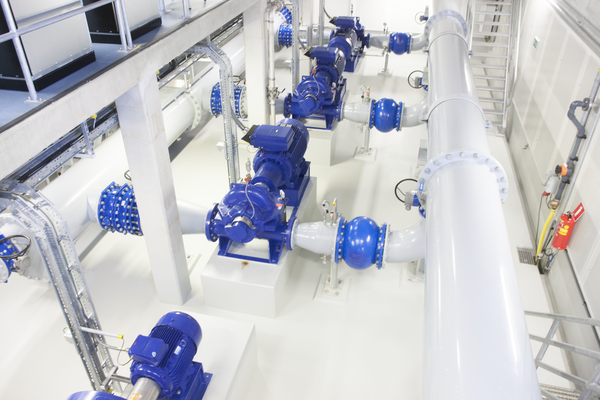 This will help identify the potential to enable more sophisticated control of water flows by implementing variable speed drives (VSDs), high-efficiency motors, programmable logic controllers (PLC), instrumentation and remote monitoring solutions. In the majority of cases, the dominant energy users across the network are found to be the motors used to drive pumps, fans and compressors. Rather than running these motors at full speed and controlling the process by throttling and gearing, a drive enables the motor to run at a much lower speed with a consequent energy saving of 30 to 50 percent (and even higher in some cases). In some cases, water leakages from aging infrastructure can account for as much as 40 percent losses. This results in huge inefficiencies and a significant impact on operating margins in terms of added costs and lost revenues. While bursts in large water mains are perhaps the most obvious example of leakage, even small undetected leaks can result in the loss of thousands of liters over time. A range of technologies is available for tackling leakages. One approach is to implement accurate flow measurement that will indicate the smallest of leaks. However, it is more effective to tackle the potential causes of leaks, such as water hammer and other pressure peaks by utilizing the soft pipe fill functionality of VSDs. Industry 4.0 provides a vision of a world that is connected and smart. In the water industry a growing number of embedded devices are now working together wirelessly either directly or via either the Internet ‘cloud’ – the Industrial Internet of Things. 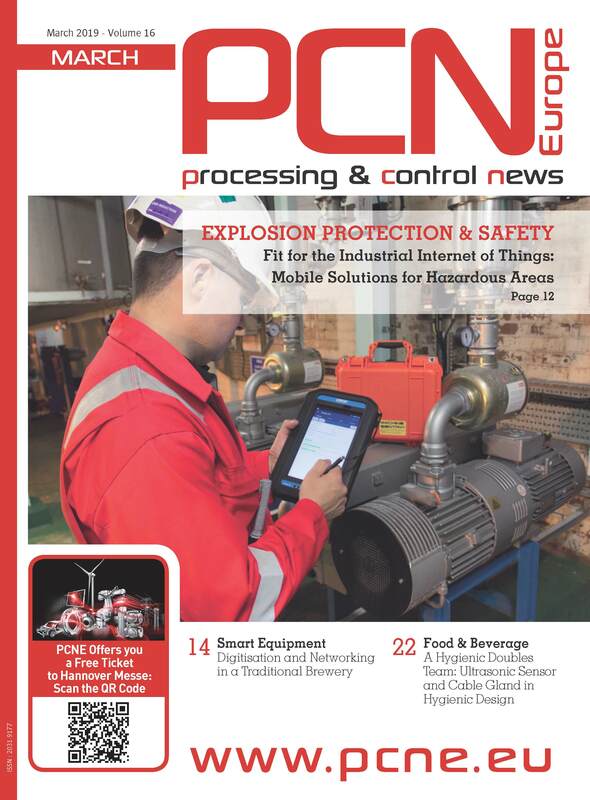 The availability of real-time information enables operators to know how critical equipment such as drives, motors and flowmeters is performing. It also provides the basis for predictive maintenance. ABB is at the forefront of Industry 4.0 thanks to the remote condition monitoring capabilities of drives such as the ACQ580. Motors are also becoming smart with the introduction of our new Smart Sensor that simply attaches to the motor frame and provides critical condition monitoring data either over the Internet or via a smartphone app. With ABB Ability we now have a unified, cross-industry digital capability that brings together devices, systems, solutions, services and a platform that enable operators in the water industry to know more, do more and do better. Cyber security is an increasing concern across all of society, and especially for critical utility infrastructure. 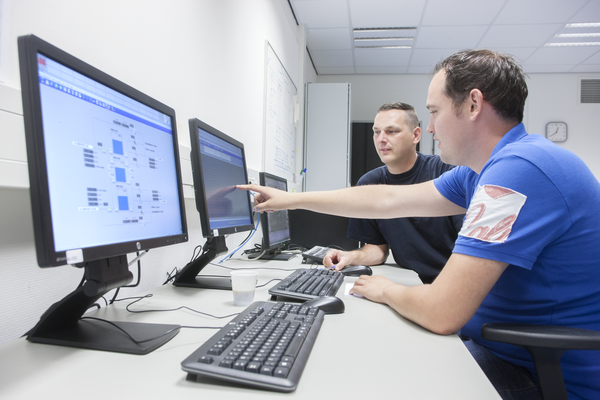 Therefore, it is vital to carry out rigorous evaluation and testing of all water industry operations against high security standards to help protect them from the possibility of cyber attack. Taking water management to the next levels is not only a question of having the right technology. It is also vital to have lifecycle services in place, including remote monitoring and support, to ensure that water handling systems will operate effectively and reliably. This will help to ensure that utilities and industrial water users can continue to deliver positive outcomes – lowering total cost of ownership and ensuring profitable growth – today and tomorrow.